Apple's new design (left) vs. its original design (right). Revised drawings for the new store were published on Friday, after Apple scrapped original designs which apparently reminded locals of a toasted sandwich. 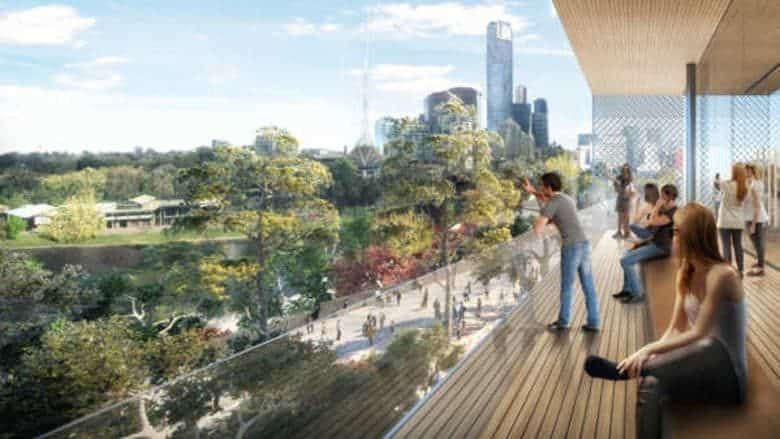 The new design boasts solar panels, returns more than 500 square meters of public space, and gives customers better access to the Yarra River from Federation Square. It ditches the pagoda-style roof of the original design in favor of a more minimalist understated design in keeping with the area. “This is more than just a store, it is a community activation space that will host arts, cultural, tech, and music events complementing the original charter of Fed Square,” Victoria Minister for Tourism and Major Events John Eren said. Not everyone is happy with the new design, though. While some readers of Australian newspaper The Age were happy with the rethink, others remained critical. The bigger criticism, though, is not the design of the store, but whether an Apple Store belongs in Federation Square at all. Controversy surrounding the new store has been ongoing since it was first announced. Some Melbourne residents have suggested that the opening of an Apple Store in the square represents commercialization of a space that was intended for public events and cultural institutions like the Australian Centre for the Moving Image and the National Gallery of Victoria. The space has also been previously used for public vigils and protests. More than 95,000 people have signed three separate online petitions asking the government to reverse its decision. It seems that Apple may win out, however. This year, an attempt to block construction of the store failed in Australian parliament. Officials hope that the new global flagship store will attract an extra two million people to visit the area every year once it opens its doors in 2020. 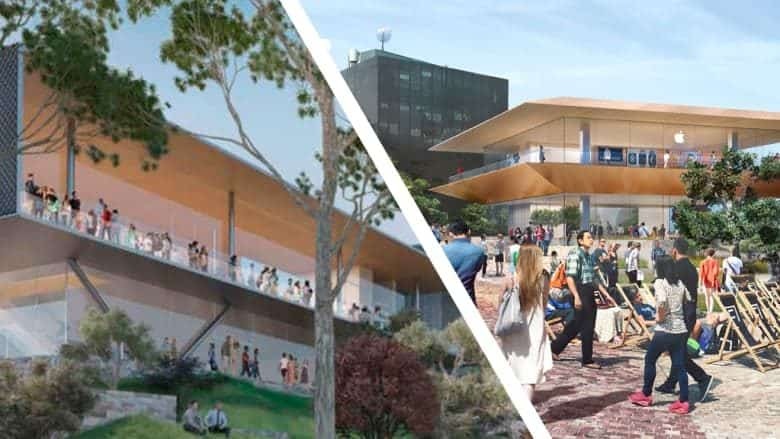 The government has also suggested that the new retail store will bring in much-needed profit for Federation Square, and create 250 construction jobs and 200 ongoing jobs in the process.